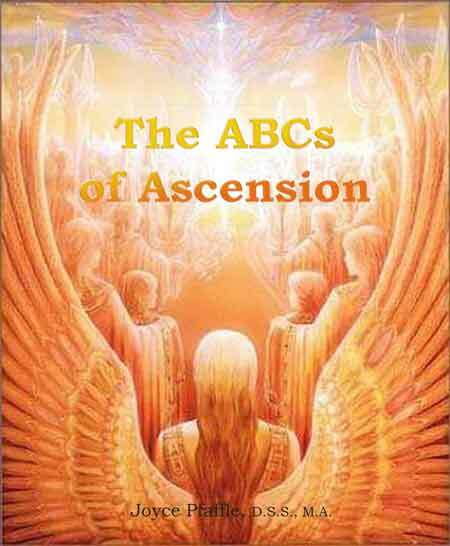 Buy Now and Get The ABCs of Ascension FREE! What are my innate Gifts? What is involved in spiritual transformation? What is in store for me after physical death? What is reincarnation all about? What do souls “do” on the other side? What does it mean to be an embodied spiritual being? 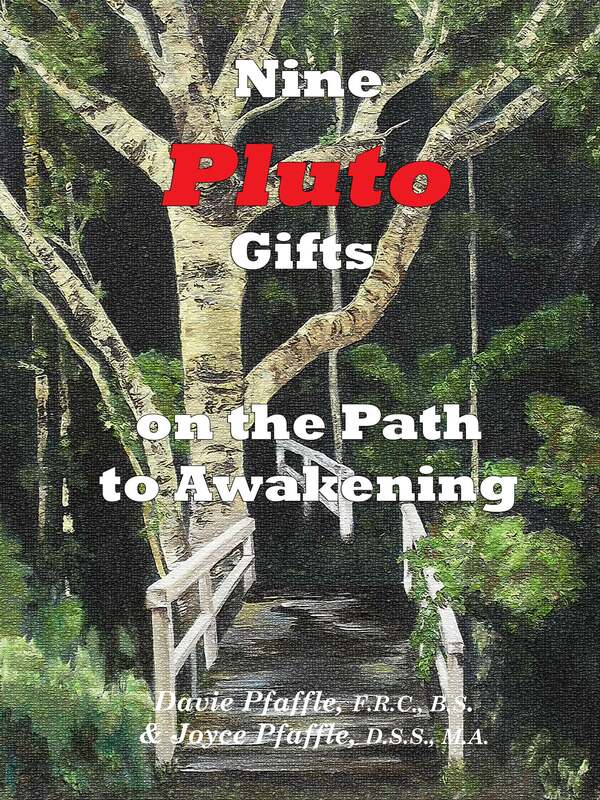 In this volume on the Pluto gifts, the questions presented above and many others will be thoroughly discussed in an easy-to-understand manner, from an astrological, spiritual Tarot and inspirational viewpoint. While reading the book, you will discover support for your path in life and gain insight into achieving higher consciousness and awakening to your full potential. Famous people who also have these Gifts are featured as well. 155 pages; e-book only at this time. Don't have a natal chart? For a small donation of your choice and for a limited time only, Davie will calculate your chart and list your planetary gifts. The chart and list of gifts will be emailed to you within days. Click on the hearts in the left column to access the donation form. Then, please email Davie with your full name, birth date, time (if available) and place of birth. GodBumps: Connecting to the Spiritual World through the Five Senses. Spirit is trying to get through to us all the time, but are we too busy to answer? Those calls from the Divine come in through our bodily sensations and feelings. GodBumps defines and explains them and what they might be trying to get through to us. In addition, it identifies three different GodBump levels we might attain as we get comfortable with and interact with Spirit. The book also has suggestions on how to go about this so we can develop a higher level of consciousness and communicate with Source, as a friend on a regular basis. Davie Pfaffle was searching for inner guidance all his life. That and his desire to make a difference led him to becoming a Rosicrucian and later to other spiritual paths. He knew he would find the way with the help of Spirit. After his first wife went through transition in 1998, he got in tune with Spirit and felt its Divine Love with warm, sweet, chills in his back. In 2007, 2008 and again in 2013, he and his wife Joyce went to the Oneness University in India where they studied the teachings of Sri Amma and Sri Bhagavan and became Oneness Blessing (deeksha) givers and were awakened. Davie is deeply committed to the awakening of self and supports others in their quest. He is the also author of Your Lucky Jupiter & Astrology and co-author of GodBumps with Joyce. Joyce Pfaffle sees herself as a communicator and spiritual seeker. She has a master's degree in communication, a doctorate in spiritual studies in the area of New Thought and is currently studying with the Builders of the Adytum mystery school and A Course in Miracles. Over the years, she has used her writing skills for magazine publishing, website creation, journalism, book writing and editing. She wrote the workbook, Writing Your Chakras and The ABC's of Ascension and also co-authored GodBumps with her husband, Davie. With him, she also received oneness blessing training in India and is committed to the awakening of the planet into oneness and the emergence of the true Self. Important: After making your payment, access the downloads by clicking on the link: "Return to FlowLifeFlow.com" on the PayPal receipt page.